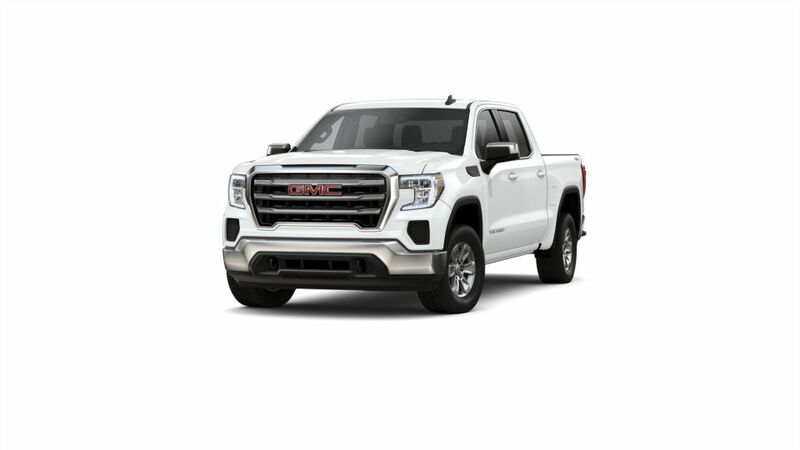 The sleek and bold GMC Sierra 1500 is a light-duty pickup truck known for its distinctive cutout above grille and stunning heated and vented perforated leather-appointed seats. The GMC Sierra 1500 truly owns the light-duty truck market since it has always been the front-runner in its kind. The unmatched power and traction ensure complete driving control along with durability. Don Moore on 54 in Owensboro is your premier dealership where you can find the new inventory of this vehicle. We also have convenient financing options so that purchasing this vehicle does not become a hassle. If you’re still not convinced, the GMC Sierra 1500 comes fully equipped with a navigation system so you can be rest assured that you will never lose track off the road again. Let Don Moore on 54's dealership find the perfect new vehicle near Henderson for you. Why spend all of your time searching from dealership to dealership? Using our advanced search function, you have access to hundreds of Buick, Chevrolet, and GMC cars, trucks, and SUVs - all from the comfort of your own home! Don Moore on 54 works hard to fulfill any request. Search our new inventory now to find your favorite models. Whether you're looking for a new Chevrolet in Owensboro, a new Buick in Henderson, a new in Madisonville, or a new GM in Evansville, IN, we're sure to have it in stock! Find your dream vehicle online, and then visit our Hours And Directions Page to plan your visit to our dealership in Owensboro, KY for a test drive.